Joshnka Technology Solar E-Light Box Solutions. This simple powerpack box brings the solution to lighting up your house, with our inbuilt LITHIUM battery, 4 lighting points, 3 DC ports for DC TV, decoder, DC Fan, also a cigarette port to plug inverter (300watts) and phone charger. 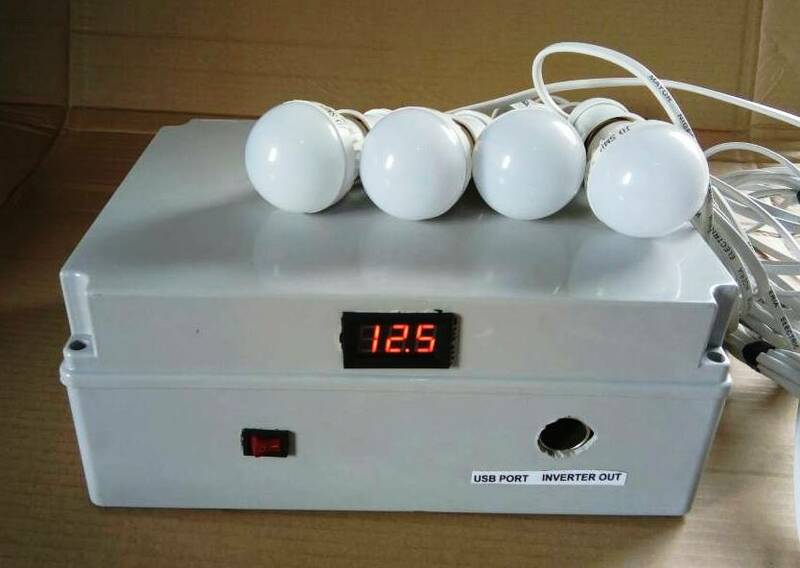 Has a display to monitor the battery voltage. 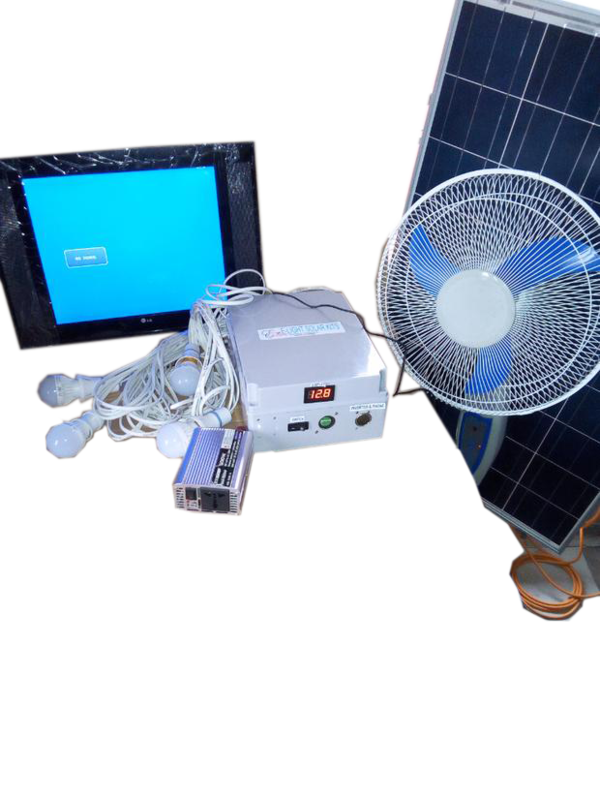 Also solar charger port, to charge the battery, ( 100 watts solar panel). Has two switches, 1 for DC Ports, 1 for Display. E-Light box brings total solution to put smile on your children’s face, when they are at home, they can watch their favorite movies channel, while fan is blowing them and also the 4 bulbs to sleep at night. while the solar charges the Powerpack during the day time. 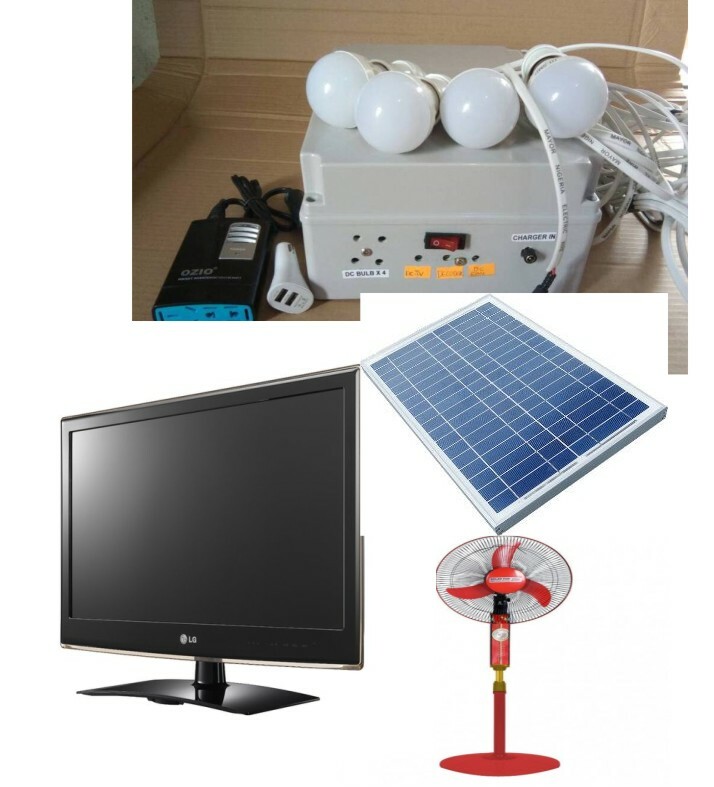 (This one comes, with E-light Pack, 24 inches TV, 16 inches Fan, 100 watts solar panel, 4 dc bulbs, 300 watts Inverter, USB Phone charger, It can be on through out the day, during sunny day. If fully charged, can last 72 hrs wen using the 4dc bulb and also can last upto 10hrs with TV and Fan. , (Guarantee is 1 year).